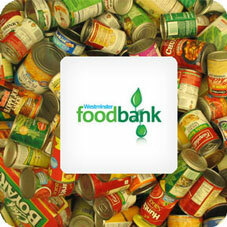 Westminster Befriend a Family (WBAF) is a referrer for the Westminster Foodbank. WBAF is working with Westminster Chapel, who set up the initiative, to alleviate hunger faced by the poorer residents of Westminster. Foodbanks provide three days’ worth of food in exchange for a voucher. Westminster Foodbank supplies these vouchers to its partner organisations who give them to clients who have been assessed. Foodbanks are designed as a short-term solution only, and partner organisations work with clients to deal with clients’ longer term requirements. “We are excited about this initiative that Westminster Chapel has set up. Not being able to feed your family is sadly becoming more common. We are grateful to those who have donated food, and those that have donated their time to help out at the foodbank. It’s great when the community pulls together to tackle a pressing need especially in the light of the economic crisis,” said Jacqueline Crooks, Director of Westminster Befriend a Family. The Westminster Foodbank is open on Mondays between 2 and 4pm and Thursdays between 11am and 1pm.